12", 13" Double T Youth hard seat bear trap style saddle. This saddle features chocolate brown rough out leather hard seat, bear trap style pommel, and dark brown acorn tooled skirts and pommel with buckstitch trim. 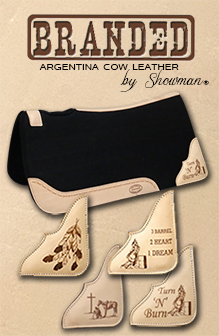 Accented with antiqued conchos and leather strings. 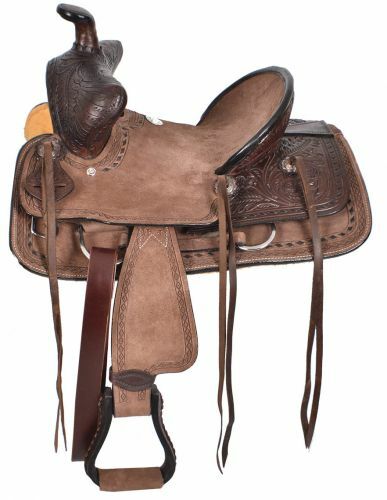 Saddle comes equipped with front D rings, leather latigo and off billets. Skirts: 22 1/2" X 12 1/2"